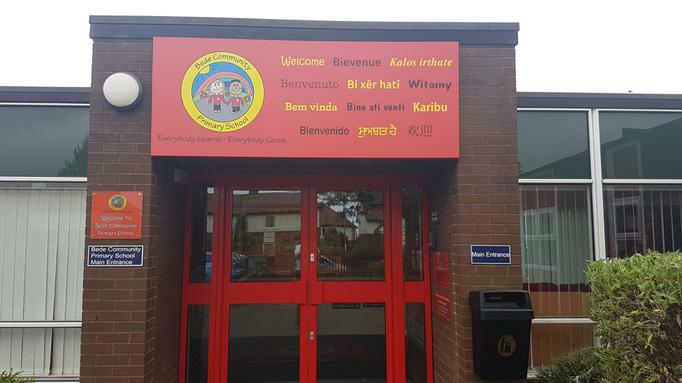 People coming through the front of school will see something different today: we've got new doors and a lovely new sign welcoming you to school in a variety of languages. We now have 20 different languages within the Bede family, which is quite remarkable for a school in Gateshead. We love how welcoming our children are in this school to new friends who join us and we like to complement that with little touches like this.